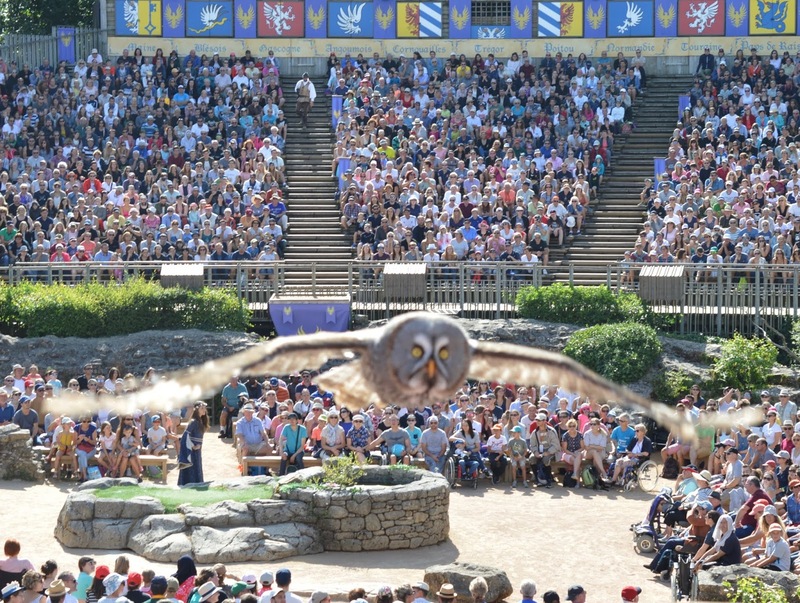 Our main reason for staying at Les Ecureuils was its proximity to Puy du Fou. 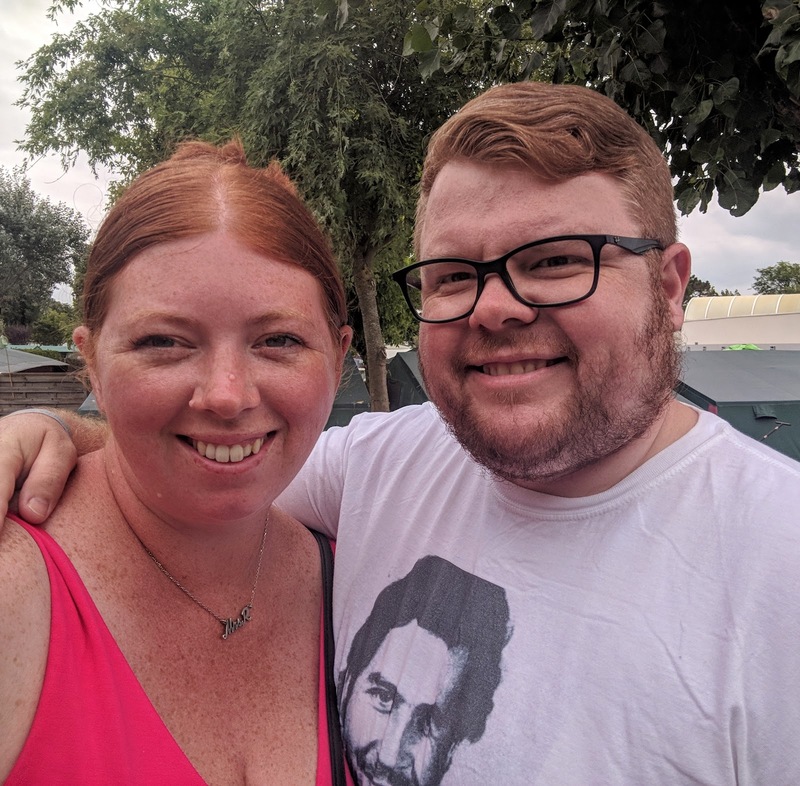 We were visiting the theme park for three days and wanted somewhere we could stay to extend our holiday and relax a little as a family. 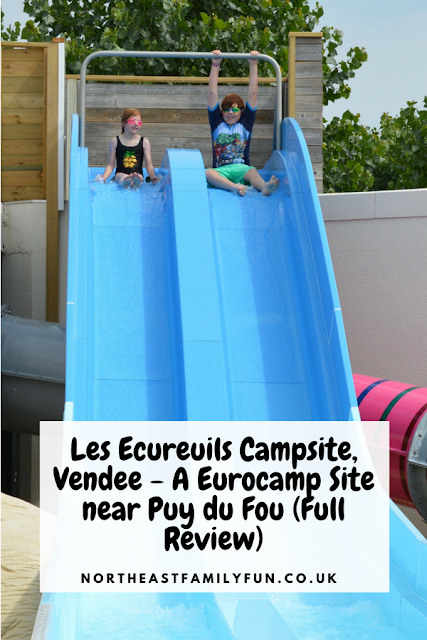 Les Ecureuils is around a 90-minute drive from Puy du Fou and was available during the dates we wanted. It seemed ideal so we booked up for 4 nights. 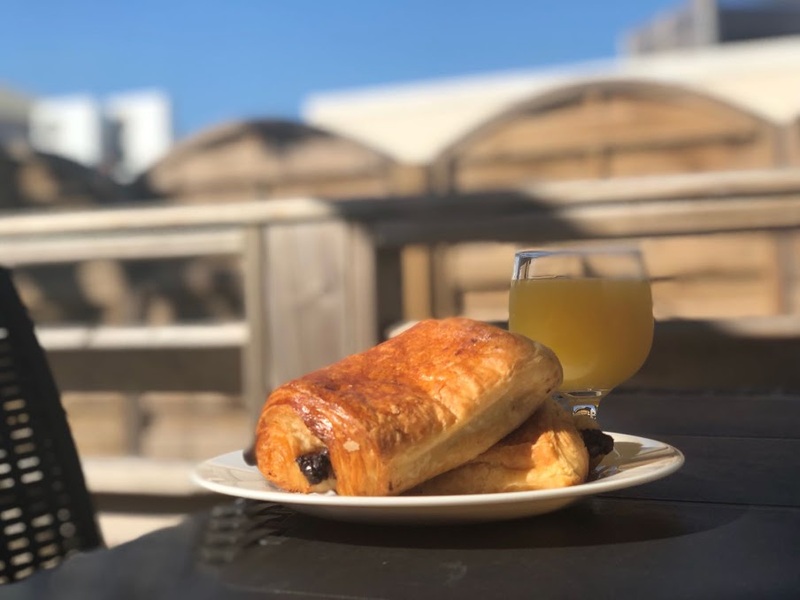 Before our trip, I had visions of our holiday involving us walking around beautiful French villages, dining in gorgeous French restaurants and taking in lots of French culture. 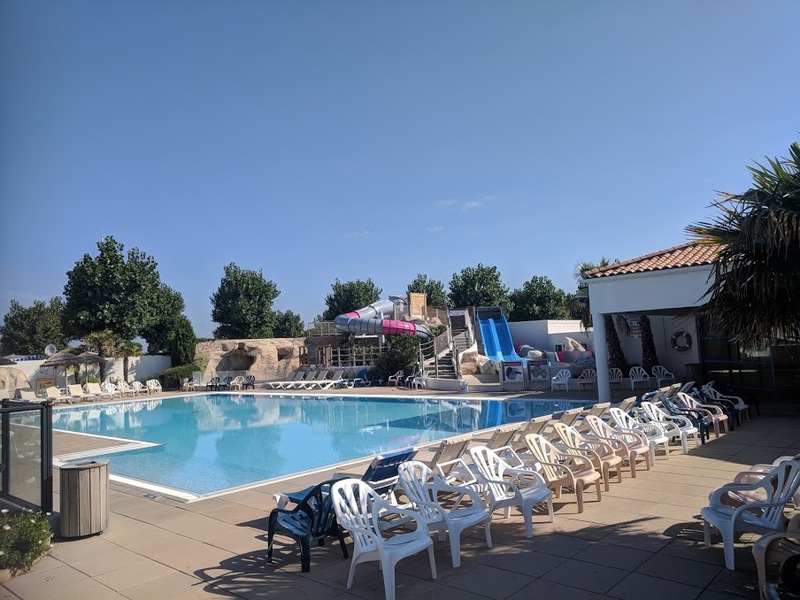 But then I read a few mixed Tripadvisor reviews and started to worry that Les Ecureuils wasn't going to be our cup of tea - a few reviews stated that it wasn't a 'typically French' resort and that it was expensive with not much to do. So I decided to manage our expectations and declared our time here to be dedicated to 'chilling out' instead of jam-packed days of fun. On arrival, I realised that we could have easily visited the French villages I'd dreamed of - there were plenty a short drive away. But on reflection, this was the kind of holiday I thought we wanted rather than the holiday we actually needed if that makes sense? 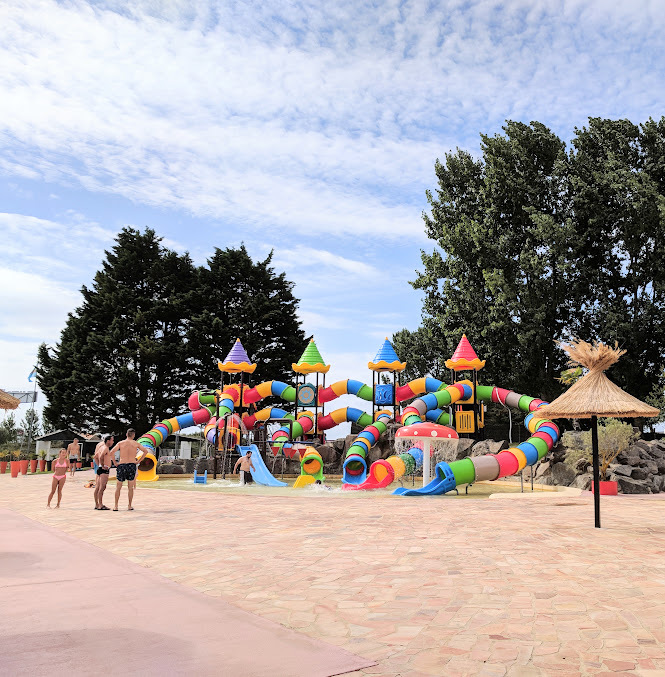 What we really needed was a site that offered us the chance to relax together as a family after a busy few months and Les Ecureuils offered just that. 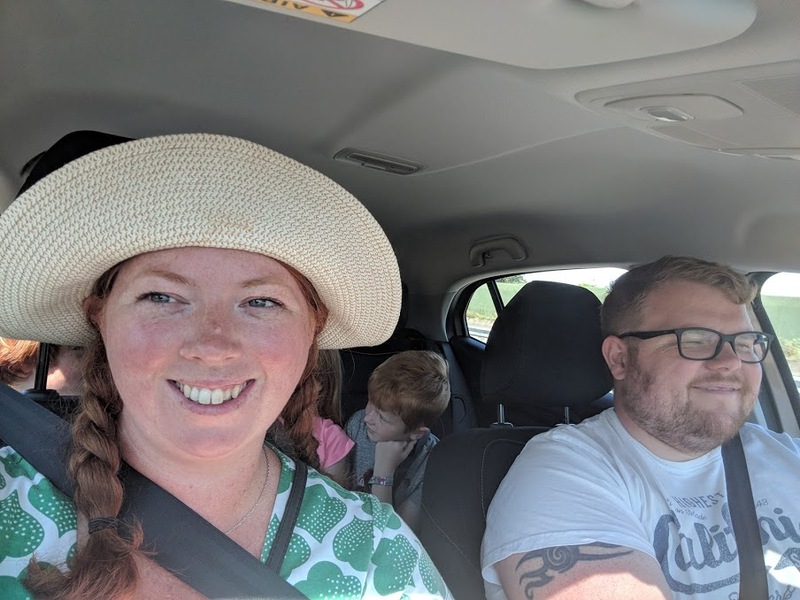 After a very hectic last term at school for the kids and a busy period at work for both Steve and myself, what we needed from this holiday was somewhere that was easy for us to relax, with plenty to keep the kids entertained and decent places to eat. Les Ecureuils more than delivered on all of this for us. The area around Les Ecureuils does feel 'touristy'. I wouldn't go as far as say that this area of French is comparable to Benidorm or other traditional touristy areas of Spain, it still does have it's own charm and you won't find many typical 'Brits abroad' but it's not a place to visit if you're looking for an authentic French village either. It's somewhere I imagine locals visit for a break with the kids as there is plenty to keep young families entertained and there seemed to be lots of French families staying in the area. We flew to Nantes airport with Flybe - our flights were inexpensive considering it was the school holidays. You can also fly with Ryanair direct from Edinburgh and there are direct flights from London, Bristol, Southampton, Birmingham and Liverpool so lots of choice. Car hire is pretty essential to get to this site and although Steve had driven abroad in Florida last year, we were still daunted by the experience. I booked a car through Avis Car Hire and the process was so simple. Cars were available from around £130 with basic insurance but we wanted something fairly big and as it was Steve's first time driving in France, we bought the most expensive insurance (in hindsight I should have shopped around as I believe there are third-party providers who offer this at a fraction of the cost). The cost of car hire and insurance was £400 for 7 days which we paid online at home before our trip. We were really happy with the car which included air conditioning and built-in sat nav. We always use Google maps on our phones when abroad as well as the built-in Sat Nav as it honestly works so much better - I definitely would not pay extra for Sat Nav if it wasn't already included and would always trust Google Maps over an in-built system. I'm still pretty new at hiring cars abroad so if you have any advice on how to get the best deals - please let me know in the comments. Les Ecureulis Campsite is around a one hour drive from the airport but it is honestly super easy. There are no toll roads or tricky junctions and it's all very straightforward. We didn't get lost once and I honestly think we did better navigating some of the roads in France than back in the UK. We arrived at Les Ecureuils at teatime. Eurocamp has their own dedicated reception here and the staff were so lovely and welcoming. They checked us in, directed us to our lodge and let us know where everything was, how to get in touch and basically gave us a brief orientation. We were able to park right outside of our lodge which certainly helped with luggage and the pre-ordered welcome pack containing bottles of water, juice and other essentials was certainly welcome. 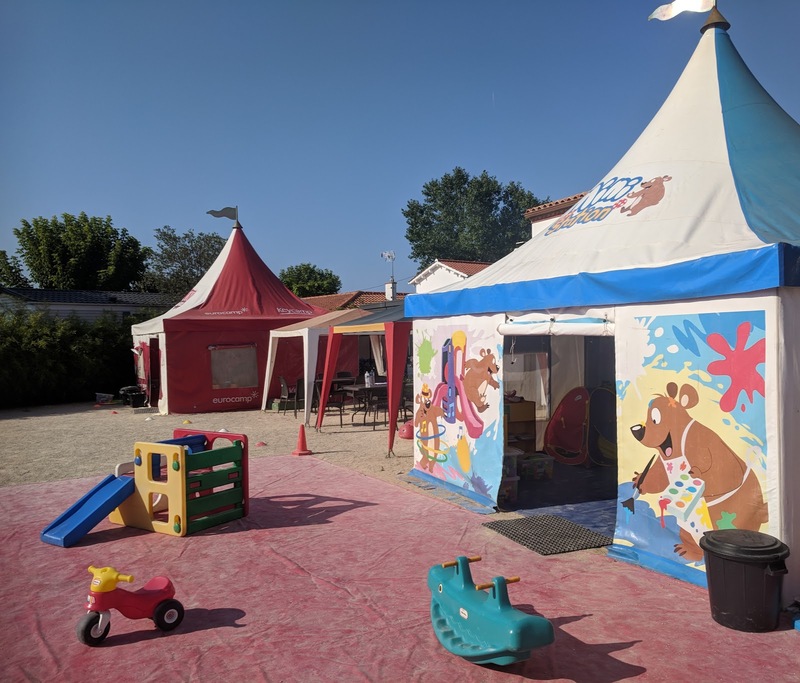 The Eurocamp staff did not know we were here to write about our trip and we received excellent service throughout - some of the best customer service we've ever received in fact. Staff members were always around to check we were ok, were super approachable and were able to give lots of advice on the best places to visit and how to get there. We stayed in a 3 bedroom Avant Lodge which has been designed to maximise the space available. 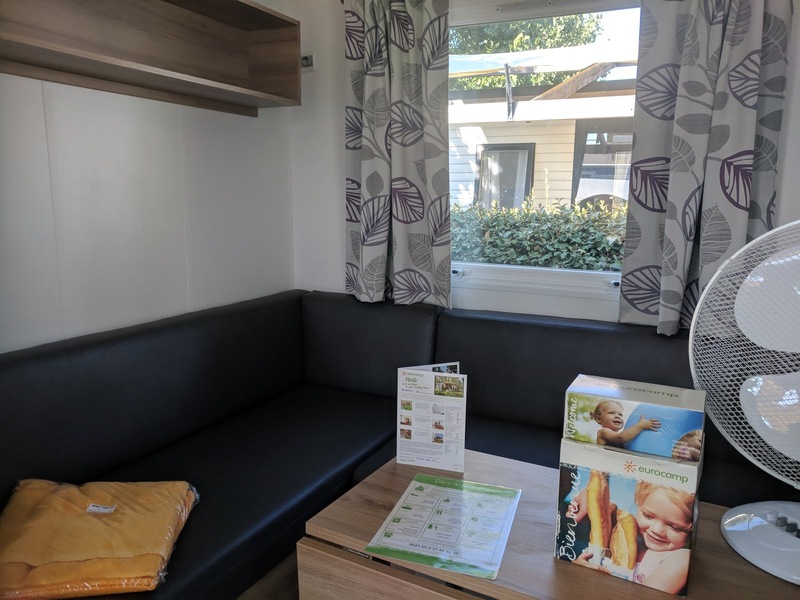 The lodge can sleep up to 8 at a push (with 2 in the living area) but I wouldn't like to try this - I'd definitely recommend this lodge if you're a family of 4-6 and it was an ideal space for us. 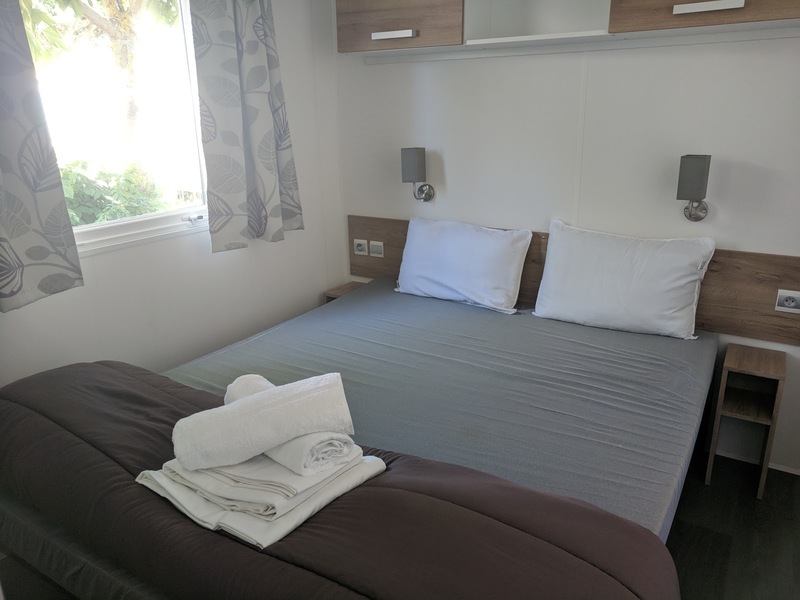 I wouldn't describe this accommodation as luxury - you will need to make your own beds and the furnishings are what I'd describe as 'comfortable'. Our lodge was a little worn in places and although clean enough for me, it wasn't sparkling (eg you could see streaks on the cooker top where it had been cleaned and there were fingerprints on the windows). The gallery-style kitchen is also pretty small but it has everything you need including a dishwasher. 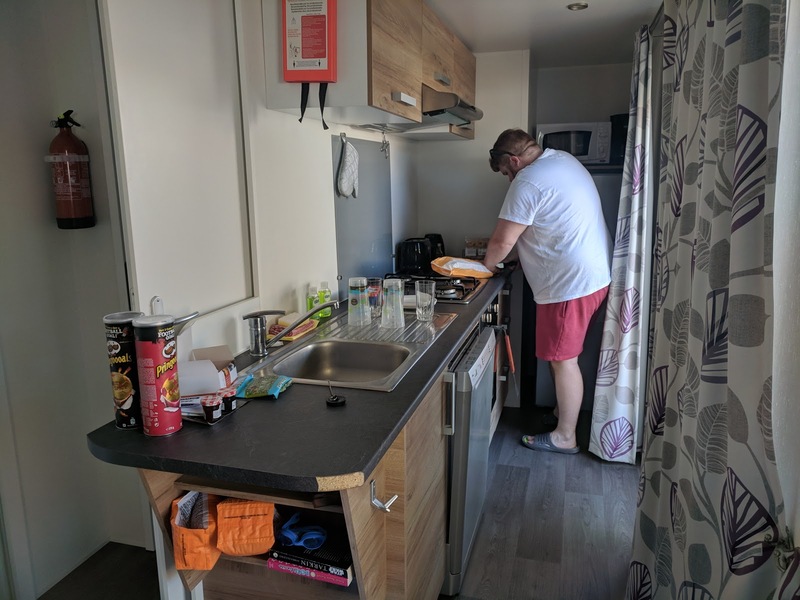 I've stayed in similar accommodation types on numerous occasions and a dishwasher was a real treat for us and a first. We didn't cook during our time here but it was handy for glasses and breakfast plates. The layout of this lodge is two bedrooms at one end and a double at the other with a bathroom with a very good power shower (again, one of the best I've experienced in this kind of accommodation) and living accommodation in the middle. 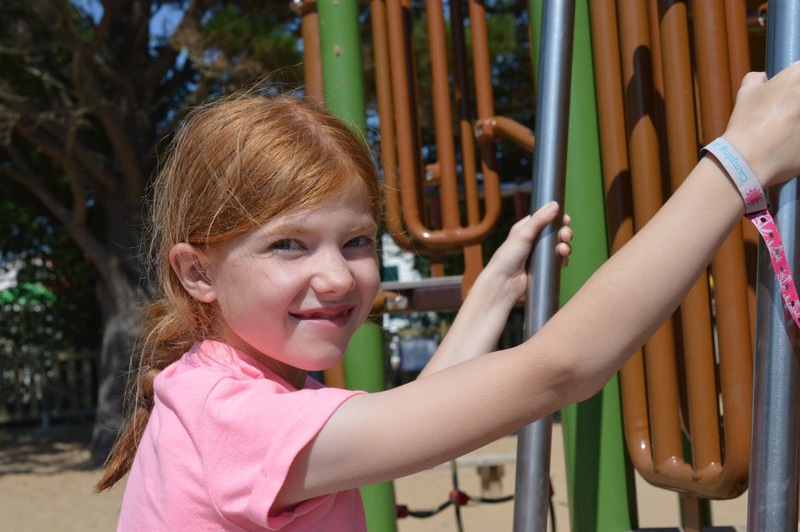 There is plenty of storage and every nook and cranny has been used. There is a fan as standard which was ok for us in July but if you're not a fan of the heat, you can also hire air-conditioning for an additional fee. There's no TV in this lodge and there's no WiFi (but you can buy WiFi to use in the bar and pool area) but we had more than enough data for the kids to stream their favourite YouTube shows when they needed downtime. Anyone else worried about what's going to happen with data roaming in Europe after Brexit? I have my fingers and toes crossed that we reach a reciprocal agreement! If you think you'll need a TV I'd recommend taking a Laptop or iPad and loading some films onto it or when our children were little, we used to take mini DVD players with their own screens - are these even still a thing now? Technology moves so fast! When our three were little they used to like watching TV in the afternoon as part of their chillout time but now they're older, we didn't miss a TV at all. The main reason we loved the Avant lodge was the huge outdoor terrace (you guessed it - the largest we've experienced). It is part-covered with a table and six chairs and you also get two sun loungers and your own BBQ to use too. The decking has a lockable gate and is where we fully embraced outdoor living - all of our breakfasts were taken out here, I'd sunbathe in the mornings when the kids were still asleep, we'd spend evenings playing card games and drinking wine and it was the ideal place for us to just sit and read and watch the world go by. 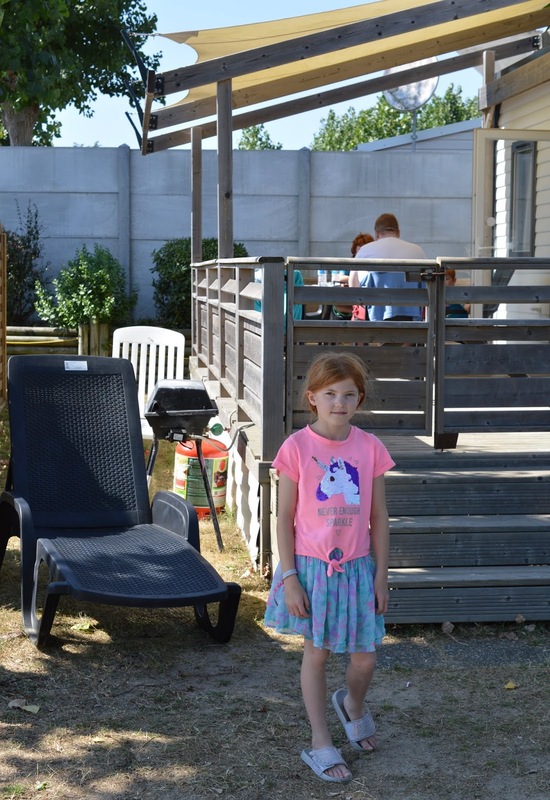 I think this private outdoor space is one of the main advantages of this kind of holiday over a hotel and it's especially useful when you have little ones and need all the space you can get. Les Ecureuils is a small site - the smallest we've stayed on in fact but I will say that their facilities are fantastic. The main outdoor pool area is pretty deep (starting at 1 metre) and there's no lifeguard on site so if you're visiting with young children, I'd recommend taking life vests and being prepared to remain vigilant. 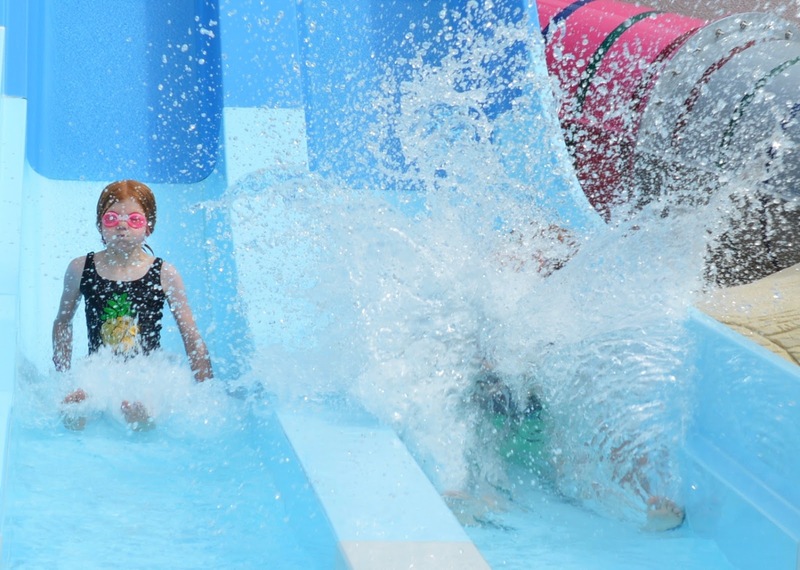 There is also a smaller toddler pool where little ones can paddle and there's a selection of smaller slides in the centre. Families with younger kids tended to stay around this pool whereas those with older kids, spread out around the main pool. 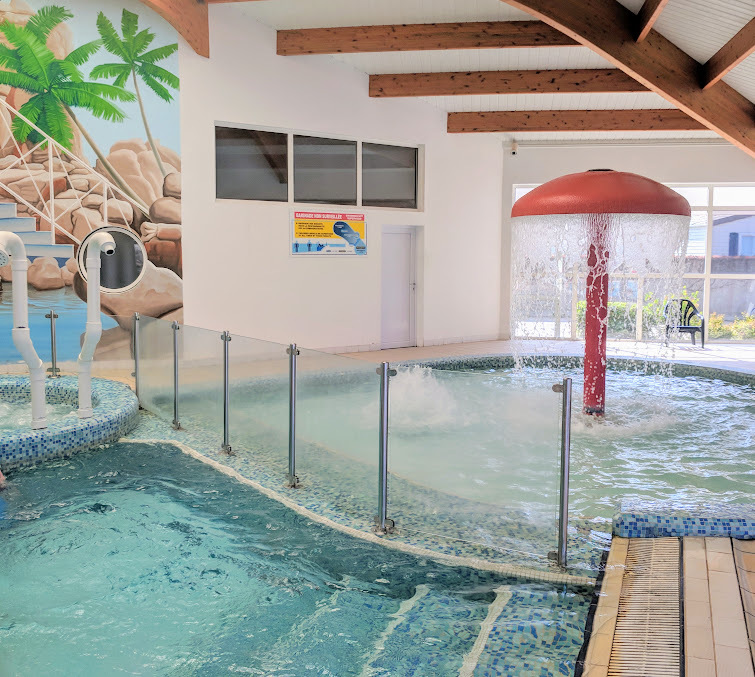 There are two fab slides, a lazy river and a jacuzzi outside and there's an indoor pool with doors which open into the outdoor pool too. 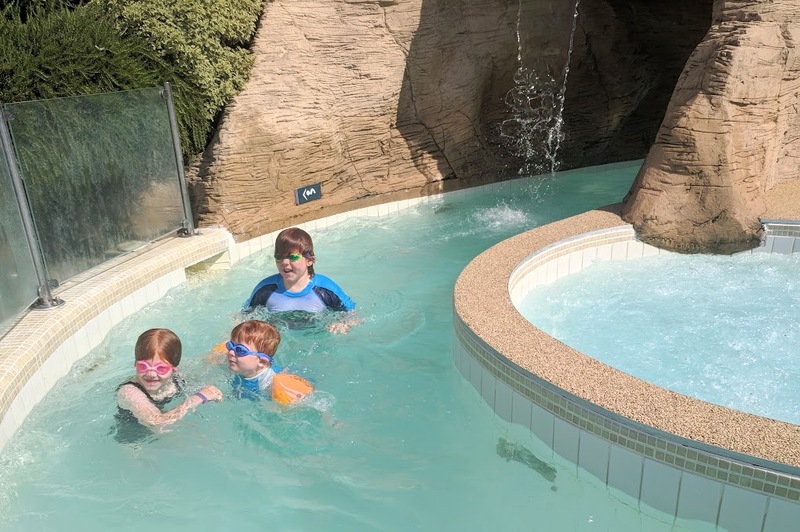 We didn't spend too much time in the indoor pool but it was great if you needed a quick break from the sun and as it was pretty shallow in parts, seemed to be a hit with younger families. There's a spa area too but we didn't make use of this - not really sure why to be honest! Must be more organised and take advantage of this kind of thing in future. The pool area opened at 10:30am (we were never ready in time for it opening). 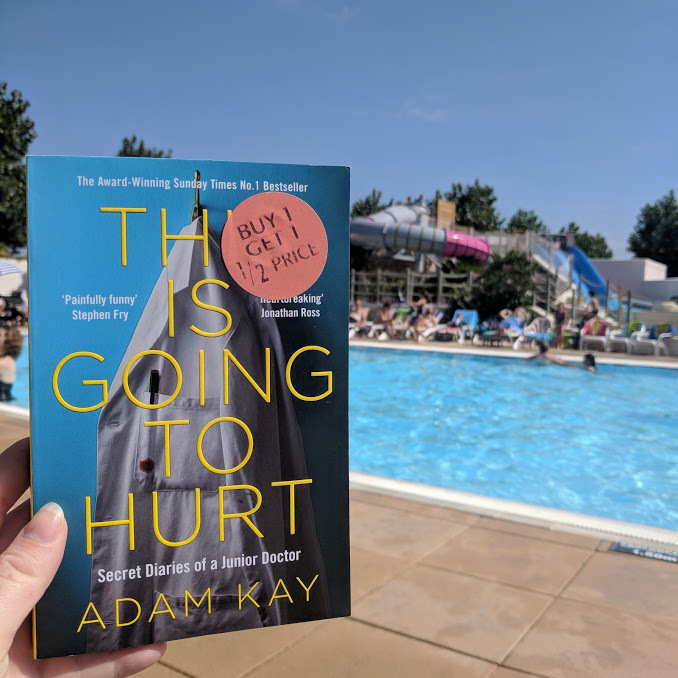 I walked back from the bakery at this time on our first morning and spotted a huge queue snaking around the corner of people waiting to reserve a sun lounger. I can never be bothered with this and we usually got to the pool for 11:30ish. There were never any sun loungers left at this time but there were plenty of chairs AND people would leave pretty regularly and offer their sunbeds to those on chairs. I'd say we were able to move from a chair to a sunbed within 30 minutes of arriving. Considering the pool area is quite small and it was peak season, I don't think this is bad going at all. Side note - Men do not need to wear speedos and swimming caps are not compulsory at this site like they are in many parts of France. Next to the pool was the main bar area with a small soft play area, arcade and games room and ice cream kiosk selling ice lollies and Ben and Jerry's ice cream. At the opposite end of the site there was a fantastic play-park for kids (it was close enough that I felt comfortable letting my three go unsupervised) and tennis courts. More than enough facilities to keep us all entertained during our stay. Evenings were very low-key but this suited us just fine. 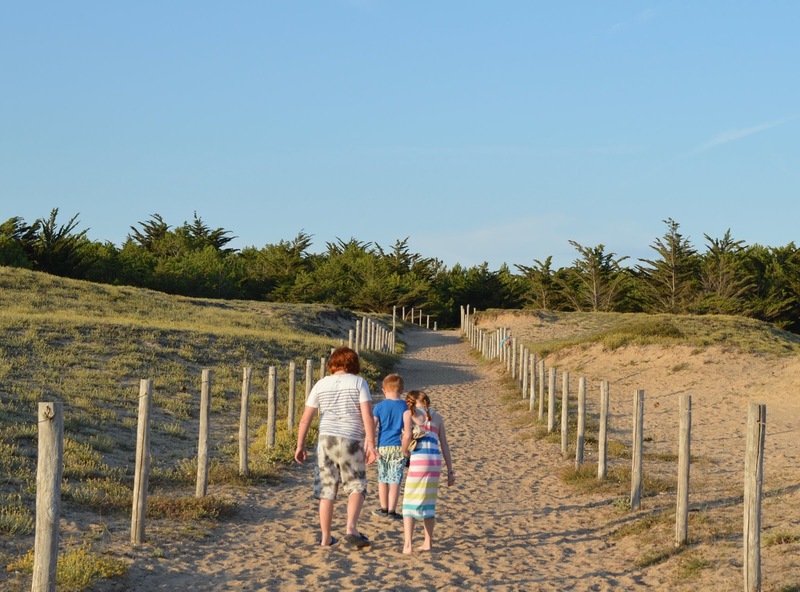 Now that the kids are older, we're not really ones for watching evening shows and just prefer to go for a meal, nice walk and then drinks back at our accommodation. 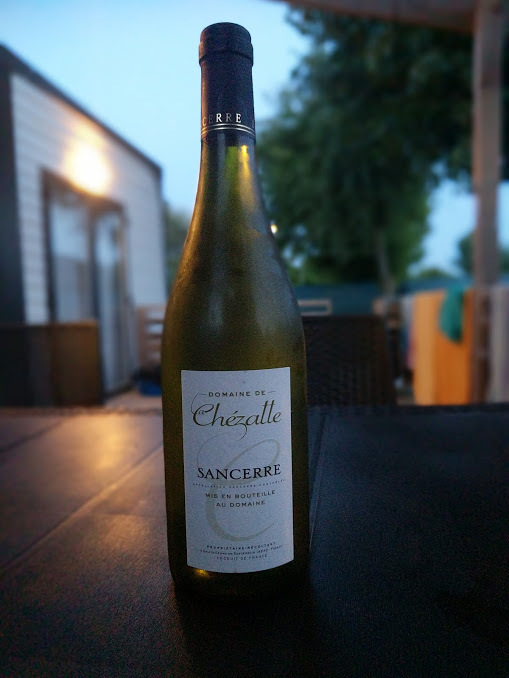 The bar is small at Les Ecureuils and the entertainment is minimal - at 9pm each evening there is something different. This could be bingo, a live show or disco. Very low-key compared with other holidays we've been on - there would probably be only a handful of families in the bar each night. If evening entertainment is important to you, I'd say this site isn't going to be for you. If you prefer something a little more laid back, I think you'll like it here. The bar prices were pretty steep - 5 euros for a pint of lager. To me, it definitely made more sense to go out for a walk then have drinks back at the lodge. 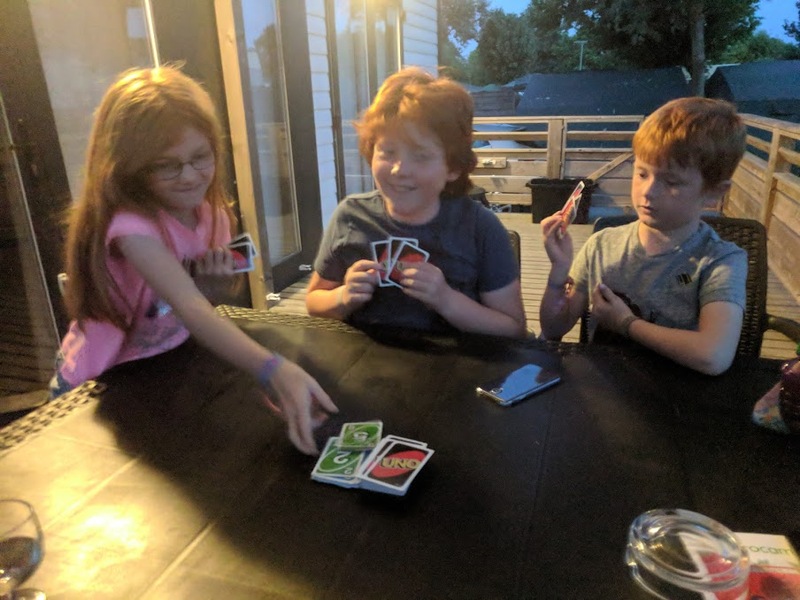 We'd usually pop to the bar after dinner for one drink at 9ish, catch a bit of the entertainment, let the kids have a bit of a dance then retreat to our lodge for more drinks and games with the kids. You could borrow board games from Eurocamp reception too. With the exception of Harry when he was a toddler, we've never used kids clubs before. This is due to a number of reasons - mainly that I always have a jam-packed itinerary on holiday or that we've stayed somewhere that hasn't offered this service. 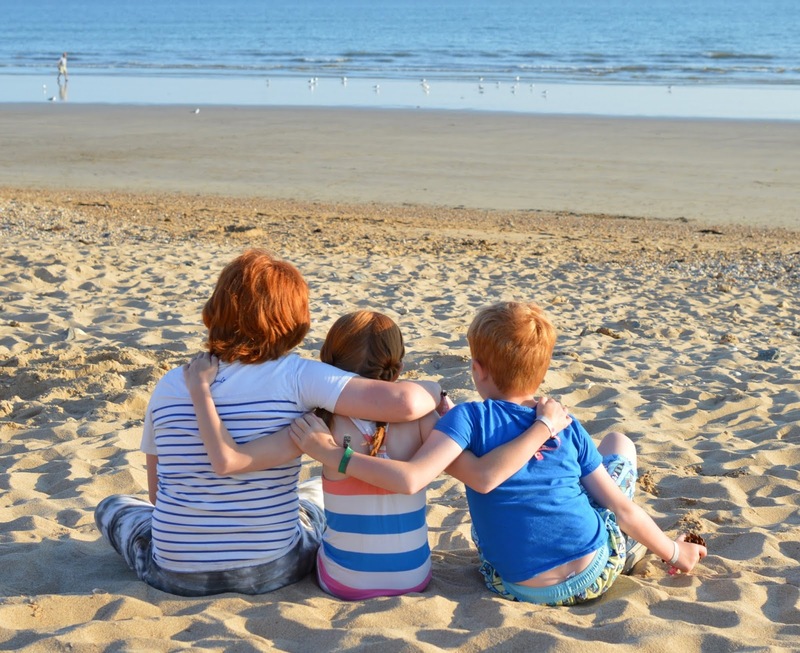 Having three kids of different ages has always proven tricky too as when they were younger, there would always be different sessions for different age groups and I never wanted to split them up. 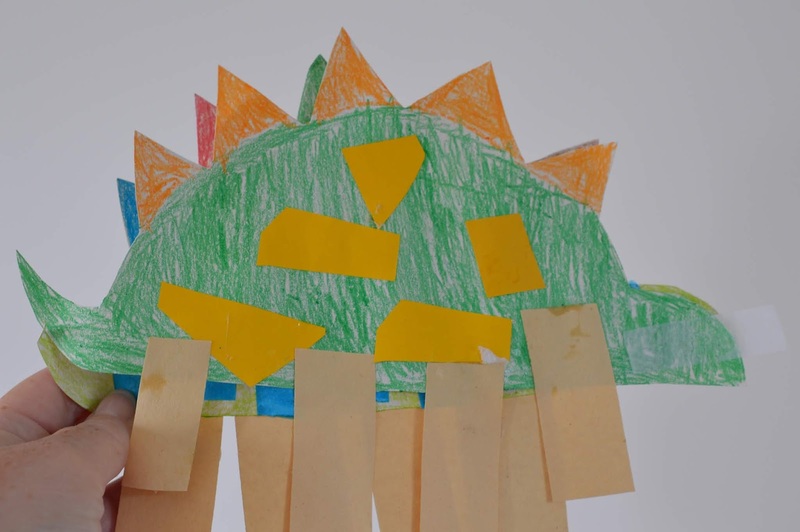 Heidi and Jack absolutely adored kids club and I felt reassured by the staff and perfectly comfortable leaving my children in their care. They were begging to go back the following day but as we were only staying for 4 days and our last full day fell on the staff's day off, it just wasn't meant to be. 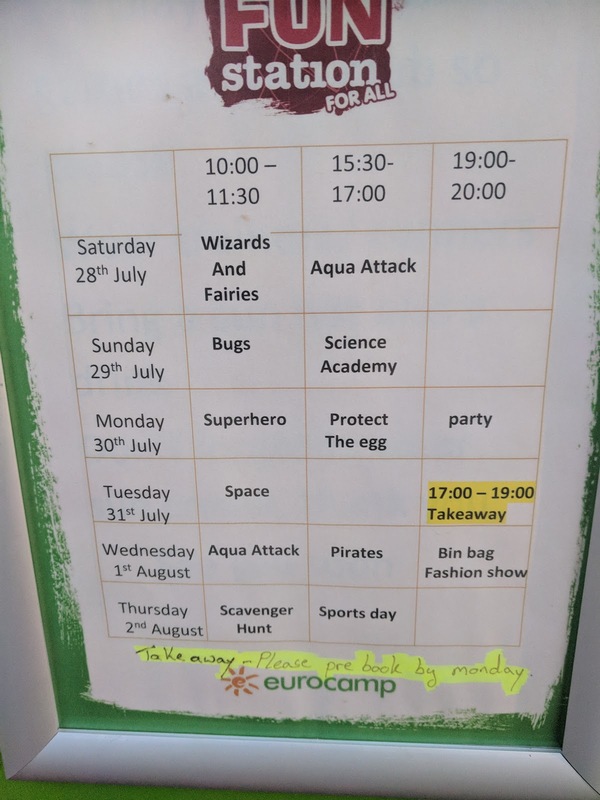 If we had stayed for a full week, I'm confident they'd have spent every morning at kids club. They spent the morning playing games, making crafts and having fun. 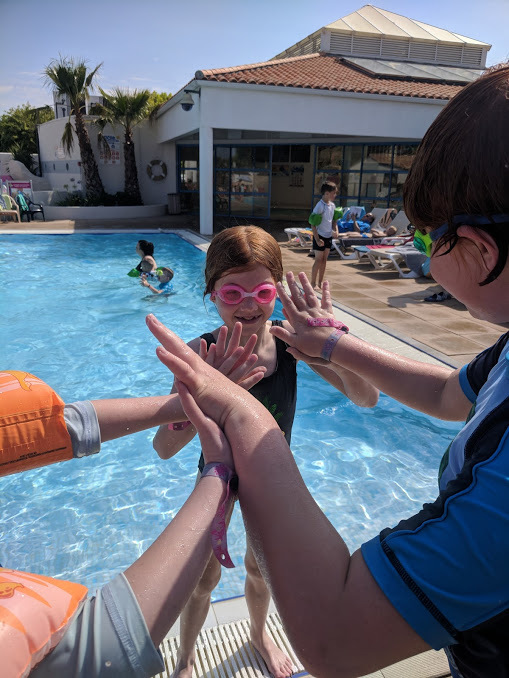 It was also a great opportunity for them to make new friends and they spent the afternoon after kids club playing with the new friends they'd made at the pool and around our lodge. Harry didn't want to go to Kids Club as he thought he was too old but that was cool with us - we weren't going to force him. He just stayed at the lodge and spent the morning watching YouTube videos in his room - it's his holiday too and I wasn't going to deny him doing something he enjoys. Eating out is one of our favourite things to do on holiday and I'll be honest when I say that first impressions of the restaurant on this site were not good. 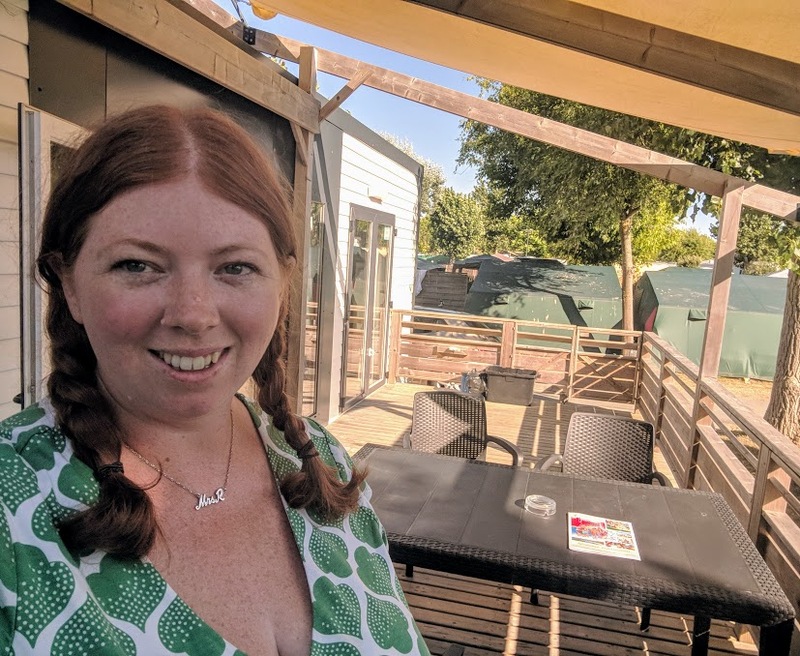 The on-site restaurant is called 'Amy's House' which doesn't exactly evoke fine French cuisine but if I've learned one thing about France, it's that all of their food is good - no matter where you dine. We dined at Amy's House on 3 out of our 4 nights here out of convenience and honestly could not fault the place. Definitely one of those times where you should not judge a book by its cover. 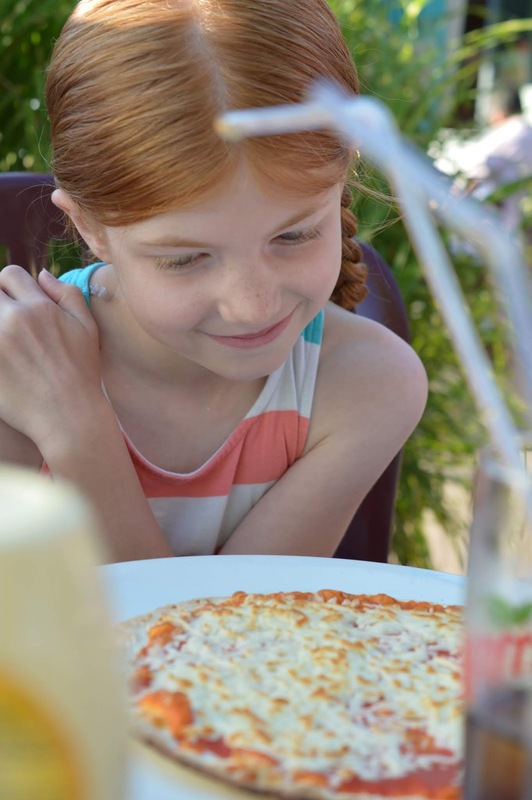 Kids meals were pizza, burger, chicken strips and fries plus an ice cream and drink for 8 euros which kept them happy. Jack claimed the chicken strips were the best he's ever had - even better than his beloved McDonalds. 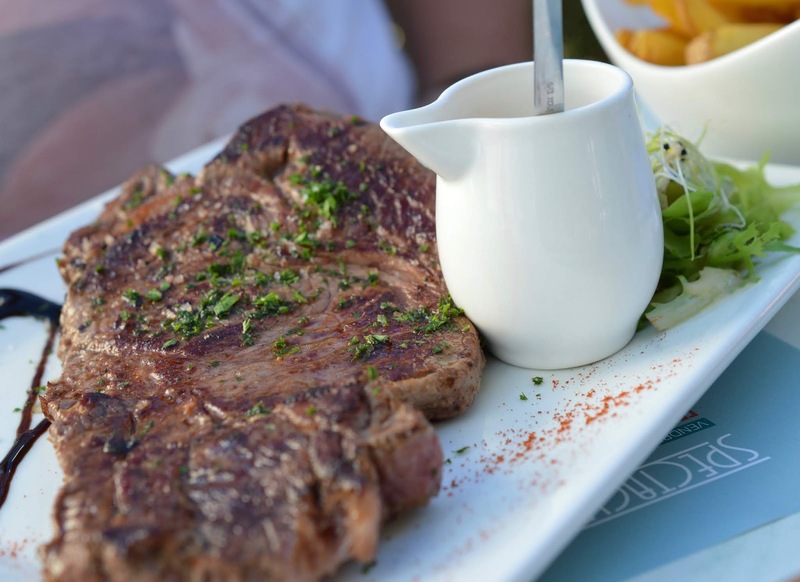 For grown-ups there was a range of French and European cuisine. 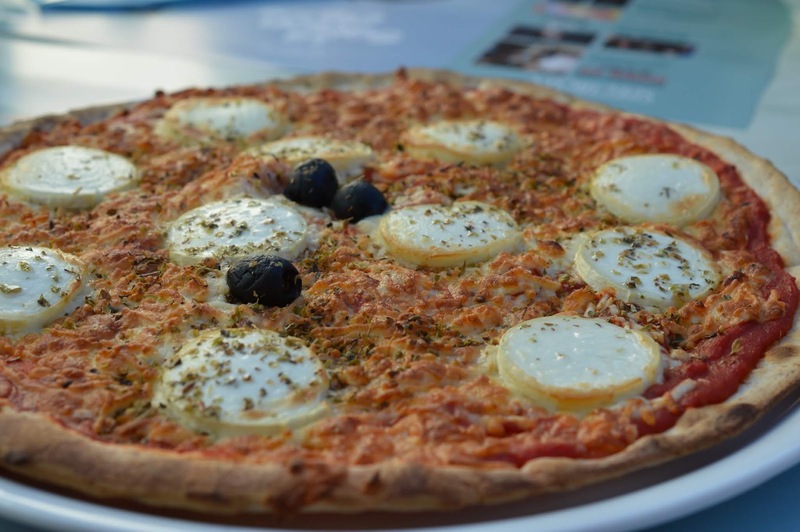 Their signature pizza was my favourite - goats cheese, honey and oregano. So good! 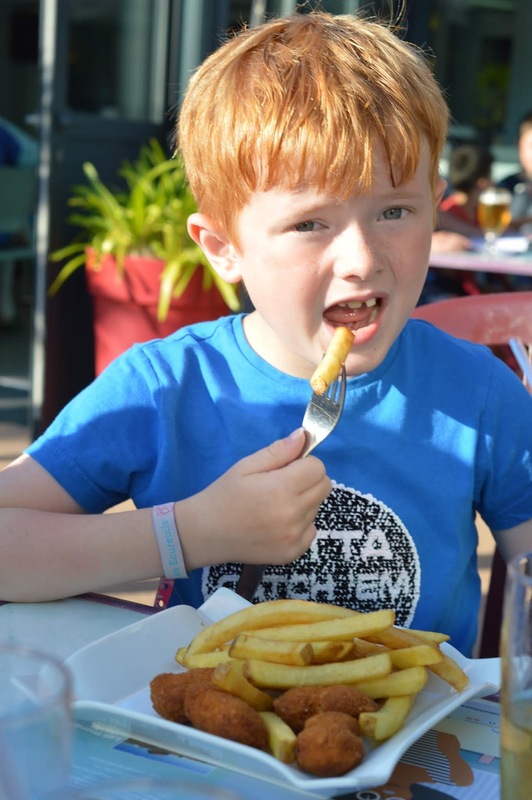 Over our time here we enjoyed everything from traditional snails to king prawns, mussels, steak and duck. Dinner for 2/3 courses plus drinks for the 5 of us ranged from £50-£70 which I thought offered really good value considering we often ordered the most expensive things on the menu and this included the odd glass of Champagne. The food was always freshly prepared and the service was really good too. Just outside of the site there is a long straight road and path (safe for kids - there's a barrier between the two). 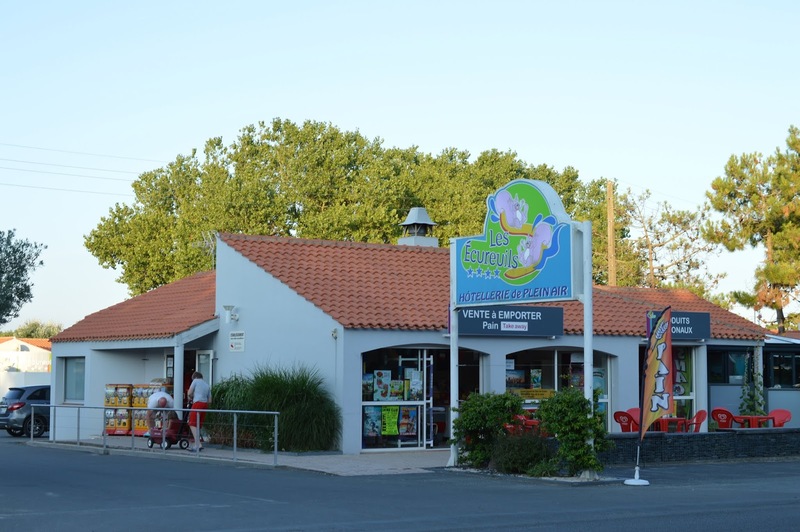 If you head out of the site, turn right and walk along the path for 10 minutes you'll find a large supermarket and a range of shops and restaurants including a boulangerie and patisserie. The supermarket also stocks clothes and pool essentials. We bought Steve some new shoes, and enough breakfasts, lunches, ice creams, drinks and snacks plus beer (5 euro for 12 bottles of Stella) and wine for 4 days for around 70 euros which we found to be decent value - our visit here ended up being one of those shopping trips where you just chuck anything you fancy in your trolley and the kids do the same. There's a cashpoint at the supermarket too. 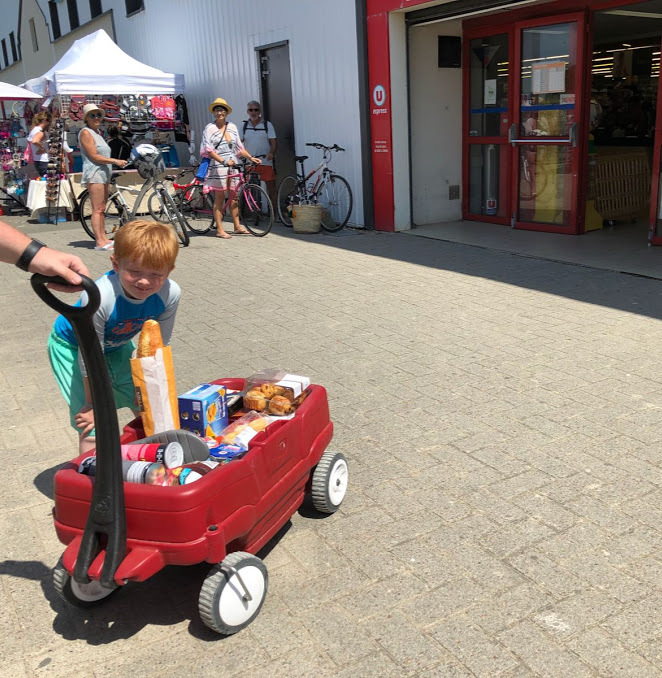 We walked there and hired a trolley for 2 euro from Eurocamp but we could have easily driven there in around 2 minutes (there's a free car park). As well as restaurants and shops, there were a couple of food shacks in this area too - one was selling Thai-Style Duck Salads and another was selling rotisserie chicken and other BBQ'd meat to take away. 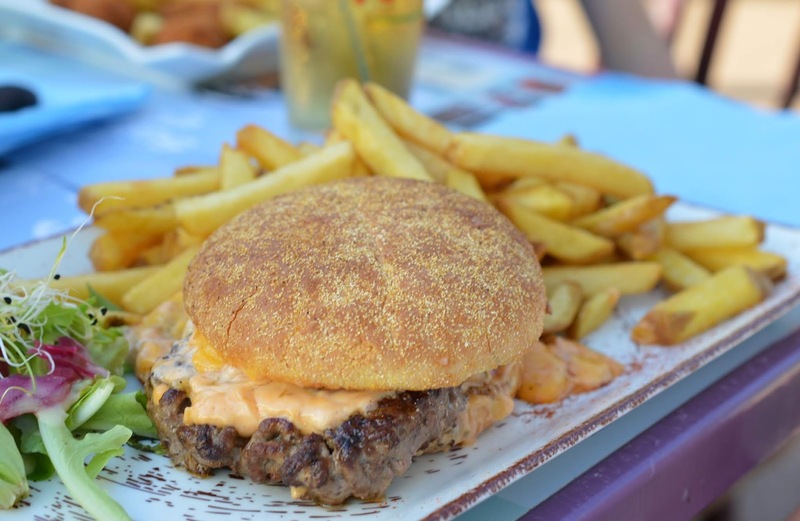 The beach is just across the road and this would make a perfect lunch. 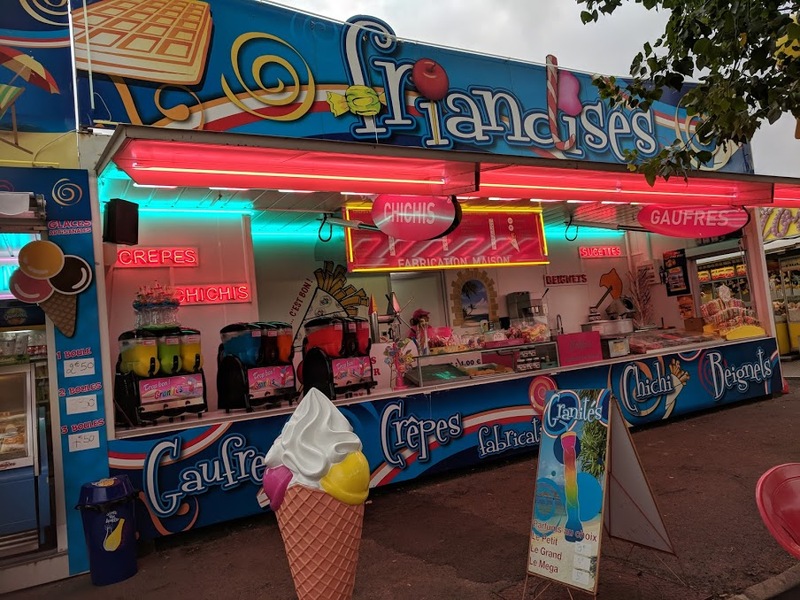 There's also a mini fairground (there's a bigger one further along the road) which charged 10 euro for 6 rides and a van selling 'create your own slush puppies' which the kids went mad for as well as crepes, churros and sweets. There are a couple of bars here too if you fancy a drink. It was great to have all of these options for food within a 10 minute walk. Further along the path there were even more entertainment options (more on that later) and we enjoyed a gorgeous supper from a local creperie - there are lots of creperies lining the streets here and I'd definitely recommend indulging in one or two during your stay. 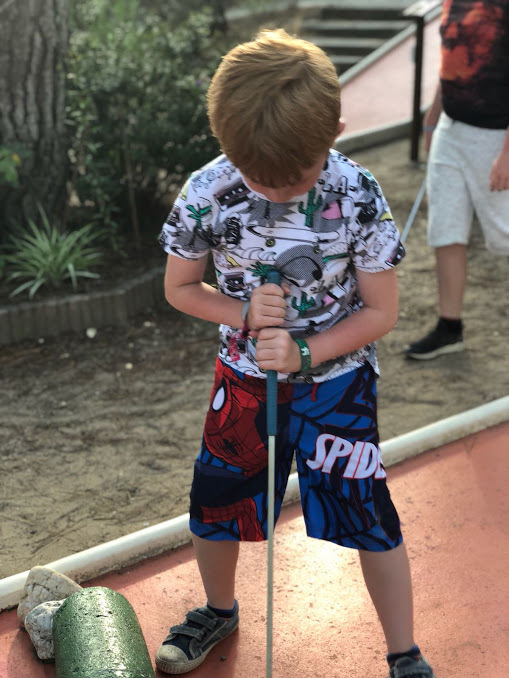 Around a 20 minute walk from the site (along the same long straight path), there is a mini-golf course. We paid 19 euros for 18 holes and had a really fun night here. The course is open from 11am - 11pm and I'd definitely recommend to families. 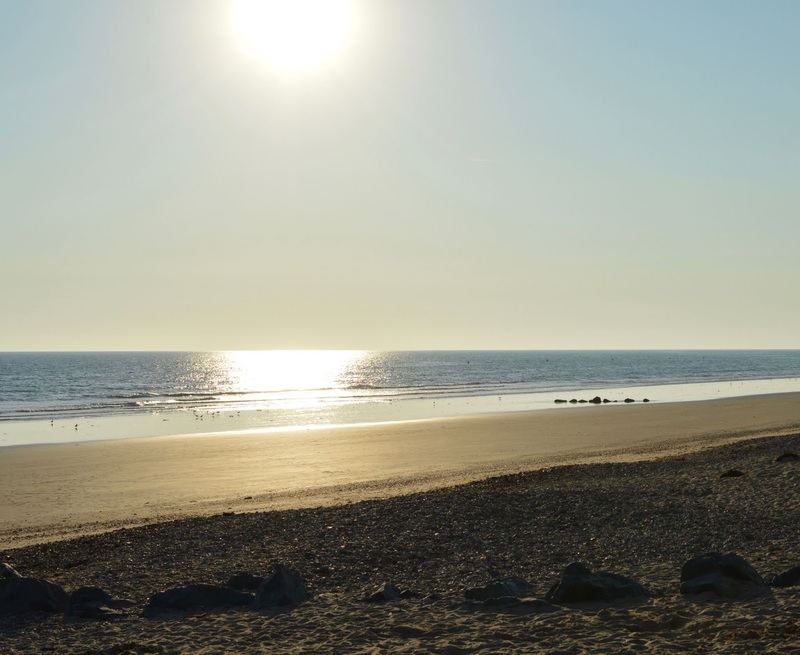 A little further along the road (maybe a 30-minute walk or 5-minute drive from the site), you'll find even more activities including the Atlantic Toboggan water park (see more from our trip there here), a large fairground and circus tent with various shows. 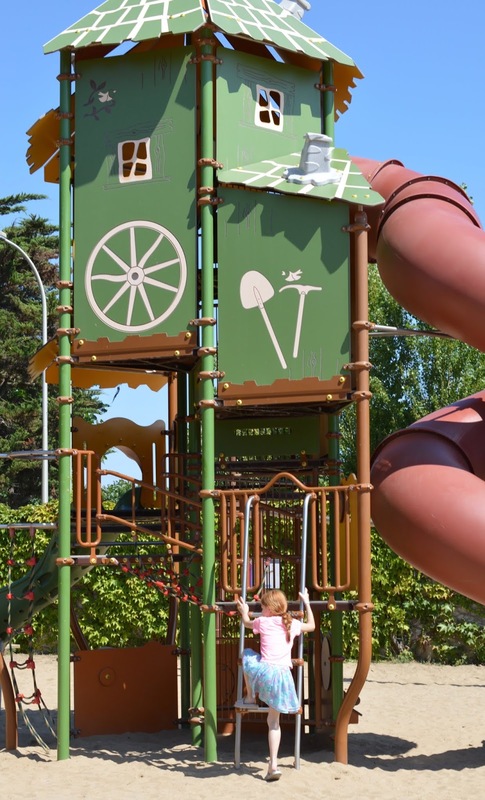 There's also a dinosaur park and go-ape style course within walking distance so absolutely loads to keep the kids entertained. Cycling was very popular here and you could hire bikes from the main centre. There are lots of cycle paths and networks along the coast and if cycling is your thing - you won't be in the minority here. If we had stayed for a full week, I definitely think we'd have explored more of the immediate area. 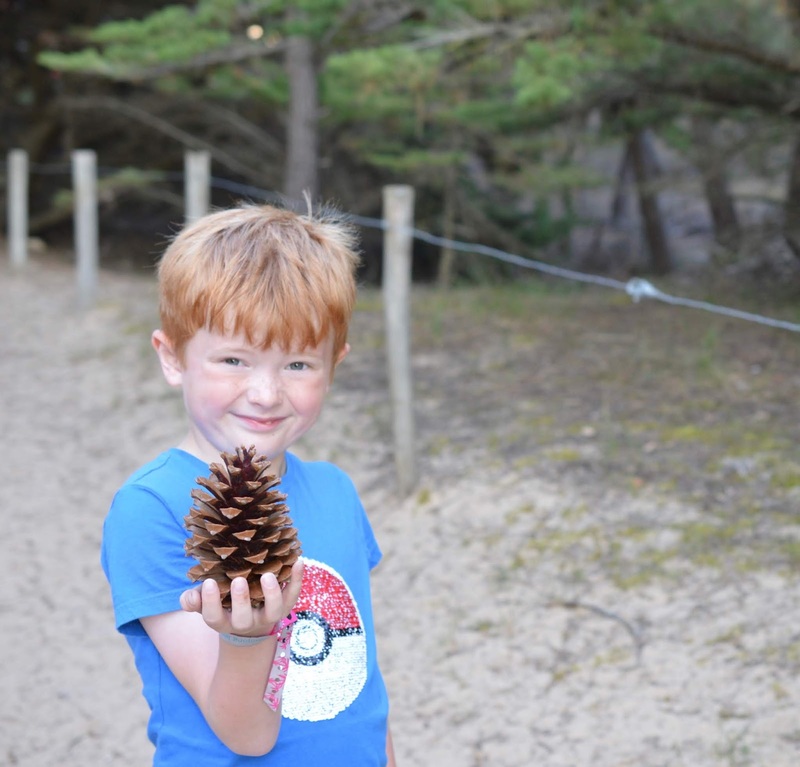 The Eurocamp website has lots of suggestions here, you could try this tree top trail as recommended by Tin Box Traveller and Pigeon Pair and Me has six recommendations for days out in the region here. 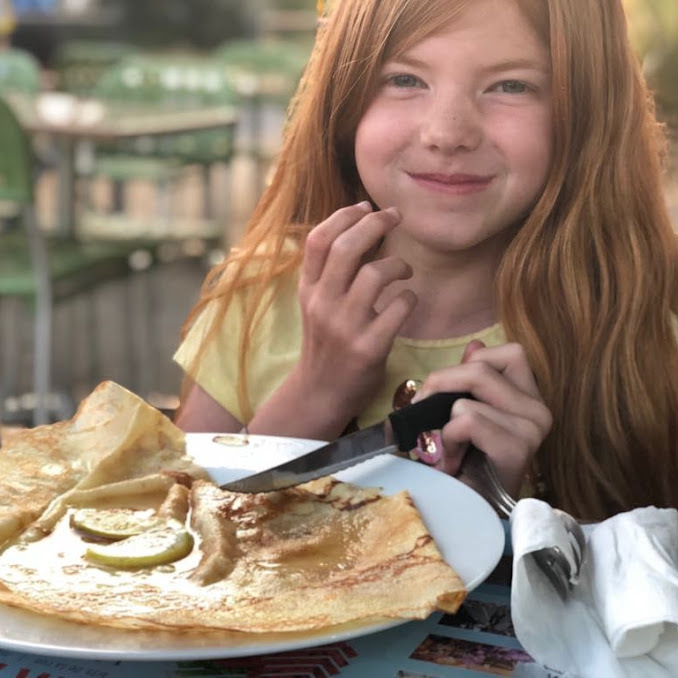 Travel Loving Family recommends visiting the city of Nantes which is around a 45-minute drive from Les Ecureuils and if you'd like to visit Puy du Fou (which I recommend you do), the drive will take around 90 minutes and is nice and easy (we managed it as amateurs). I'll be posting more info about our visit to Puy du Fou next week. 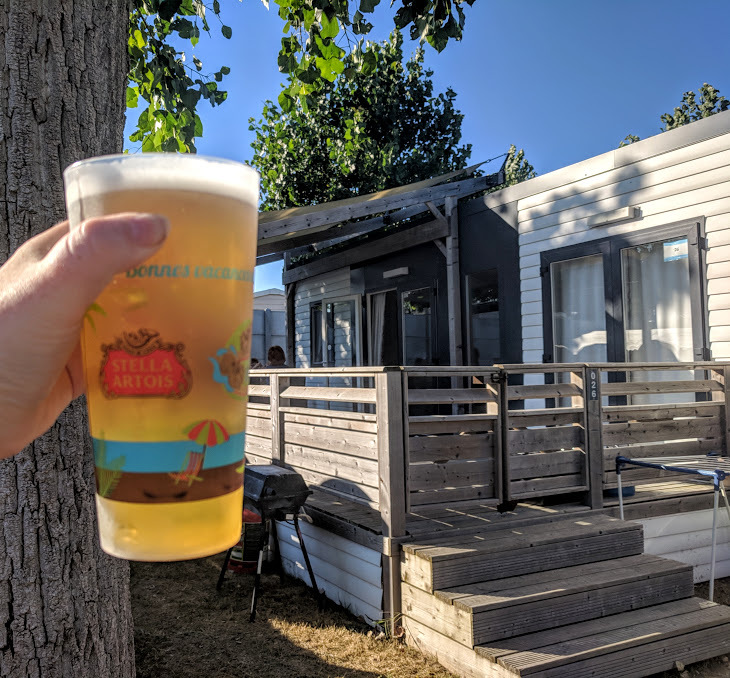 I feel that Eurocamp offer excellent value for money, especially for larger families like us and I've already been looking at re-booking next year. I really fancy this site which is just outside of Rome. 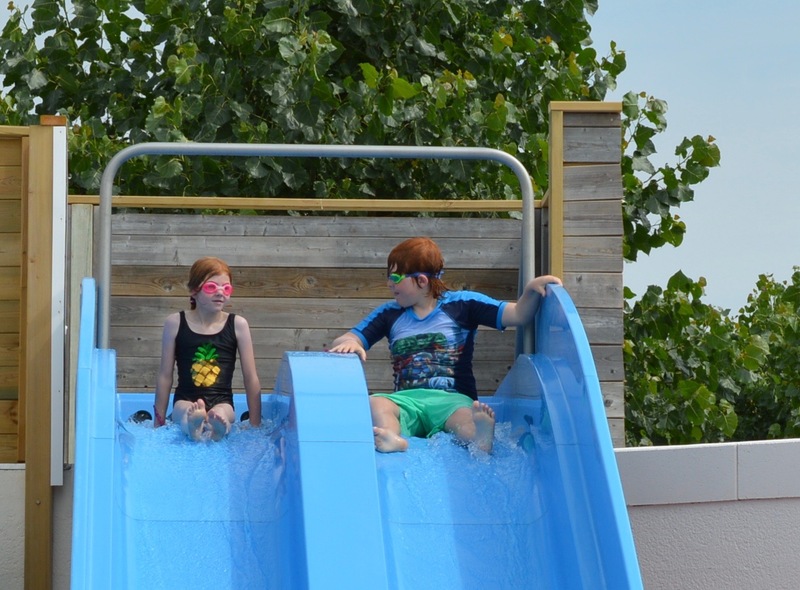 Have you ever stayed with Eurocamp or would you consider a Eurocamp holiday with your family? Let me know in the comments. 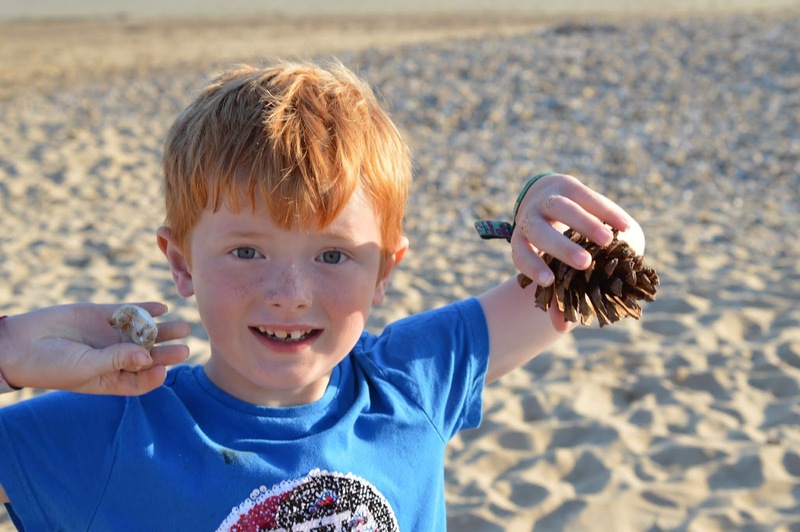 Loved reading this Sam-it looks ace and that beach is gorgeous! Would def look at a eurocamp for us in the future. You're so right about the Eurocamp staff being warm and welcoming. We've always had a lovely time at their parcs. And so nice to have a dishwasher! We've always found these sorts of holidays to be relaxing, too. Nice to have all those fab waterslides so close on-site. 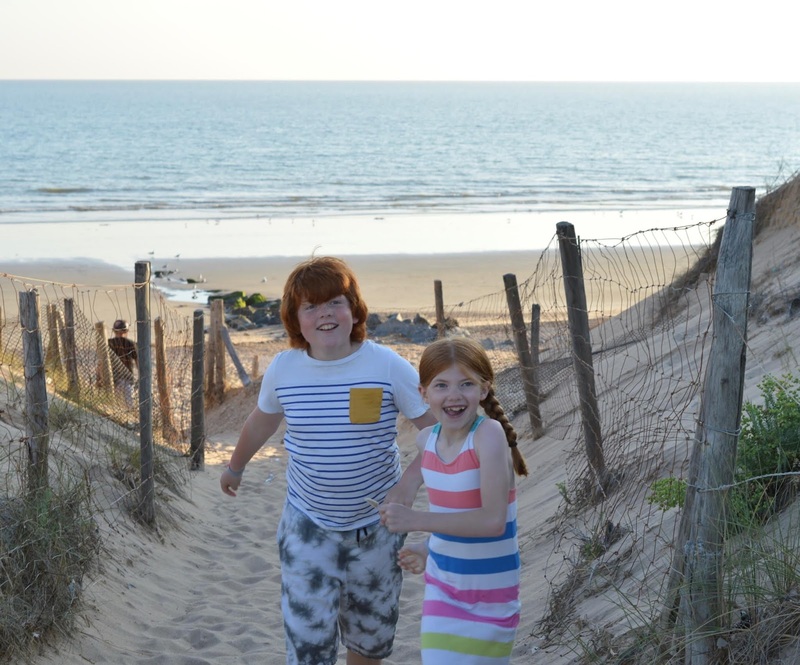 We've had 2 Eurocamp holidays now and enjoyed both. The restaurant food cost on yours was so much better than where we were in May. It was costing us £70-90 for one course and drinks for 5 of us. Are Travelodge SuperRooms worth it? Anyone else hate water parks?